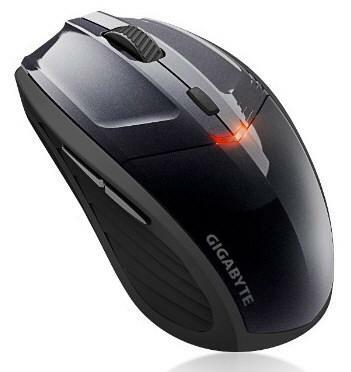 Gigabyte Technology introduced its new wireless mouse, called ECO500.ECO500’s speed of sensor is 1600dpi and duration of batteries’ operation is 12 months. It is powered by two AA batteries.Sizes of wireless mouse is 105mm x 59.7mm x40.1mm. It has five new programmable buttons, switch resolution (dpi),and the rubber pads on the sides, which will not allow its to “escape” from under your arm.The range of the mouse running at rate of 2.4GHz is 10 meters. Also in complete there is a USB transceiver.